Monitech works with many different suppliers to ensure that you receive a quality monitor, quickly, and for a fantastic price! The Toyoda VMC 1472 is no exception. 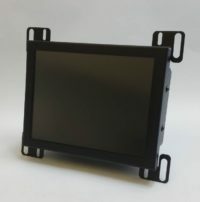 With customers from all over the world looking to upgrade their Toyoda VMC 1472 monitors, we have perfected the design of our LCD monitor to suit your needs, whatever they may be! To request a quote for a Toyoda VMC 1472, please contact us. Monitech works with many different suppliers to ensure that you receive a quality monitor, quickly, and for a fantastic price! The Traub is no exception. With customers from all over the world looking to upgrade their Traub monitors, we have perfected the design of our LCD monitor to suit your needs, whatever they may be! To request a quote for a Traub, please contact us. LCD Upgrade Kit for 9-inch Xycom 2005 CRT. Full cable kit for complete conversion. Monitech works with many different suppliers to ensure that you receive a quality monitor, quickly, and for a fantastic price! To purchase the Xycom 2005 please click ADD TO CART. 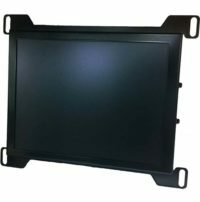 LCD Upgrade Kit for 12-inch Xycom 2050 CRT. Full cable kit for complete conversion. LCD Upgrade Kit for 12-inch Xycom 2060 CRT. Full cable kit for complete conversion. Monitech works with many different suppliers to ensure that you receive a quality monitor, quickly, and for a fantastic price! The Xycom 2060 is no exception. With customers from all over the world looking to upgrade their Xycom 2060 monitors, we have perfected the design of our LCD monitor to suit your needs, whatever they may be! To purchase a Xycom 2060, please click ADD TO CART. LCD Upgrade Kit for 9-inch Xycom 4810A CRT. Full cable kit for complete conversion. Monitech works with many different suppliers to ensure that you receive a quality monitor, quickly, and for a fantastic price! The Xycom 4810A is no exception. With customers from all over the world looking to upgrade their Xycom 4810A monitors, we have perfected the design of our LCD monitor to suit your needs, whatever they may be! To purchase the Xycom 4810A, please click ADD TO CART. Monitech works with many different suppliers to ensure that you receive a quality monitor, quickly, and for a fantastic price! The Xycom 4850 is no exception. With customers from all over the world looking to upgrade their Xycom 4850 monitors, we have perfected the design of our LCD monitor to suit your needs, whatever they may be! To request a quote for a Xycom 4850, please contact us. Monitech works with many different suppliers to ensure that you receive a quality monitor, quickly, and for a fantastic price! The Xycom 8450 is no exception. With customers from all over the world looking to upgrade their Xycom 8450 monitors, we have perfected the design of our LCD monitor to suit your needs, whatever they may be! To request a quote for a Xycom 8450, please contact us. 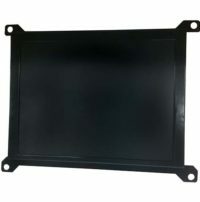 LCD Upgrade Kit for 14-inch Xycom 9450 CRT. Full cable kit for complete conversion. Monitech works with many different suppliers to ensure that you receive a quality monitor, quickly, and for a fantastic price! The Xycom 9403 is no exception. With customers from all over the world looking to upgrade their Xycom 9403 monitors, we have perfected the design of our LCD monitor to suit your needs, whatever they may be! To purchase a Xycom 9403, please click ADD TO CART. Also works with Xycom 9403. Monitech works with many different suppliers to ensure that you receive a quality monitor, quickly, and for a fantastic price! The Xycom 9450 is no exception. With customers from all over the world looking to upgrade their Xycom 9450 monitors, we have perfected the design of our LCD monitor to suit your needs, whatever they may be! 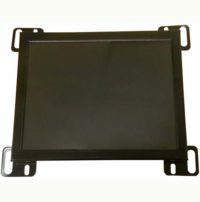 To purchase the Xycom 9450 LCD Display, please click ADD TO CART. Monitech works with many different suppliers to ensure that you receive a quality monitor, quickly, and for a fantastic price! The Yasnac 14″ is no exception. With customers from all over the world looking to upgrade their Yasnac 14″ monitors, we have perfected the design of our LCD monitor to suit your needs, whatever they may be! To request a quote for a Yasnac 14″, please contact us. Monitech works with many different suppliers to ensure that you receive a quality monitor, quickly, and for a fantastic price! The Yasnac I80 is no exception. With customers from all over the world looking to upgrade their Yasnac I80 monitors, we have perfected the design of our LCD monitor to suit your needs, whatever they may be! To request a quote for a Yasnac I80, please contact us. 14 inch Yasnac Yaskawa CRT replacement unit. Monitech works with many different suppliers to ensure that you receive a quality monitor, quickly, and for a fantastic price! The Yasnac 1424ADS is no exception. To purchase a Yasnac Yaskawa 1424AD, please click ADD TO CART. Monitech works with many different suppliers to ensure that you receive a quality monitor, quickly, and for a fantastic price! The Yokogawa is no exception. With customers from all over the world looking to upgrade their Yokogawa monitors, we have perfected the design of our LCD monitor to suit your needs, whatever they may be! To request a quote for a Yokogawa, please contact us.